Looking for an impressive gift to make for your friends and family that won't take a lot of time or money? Or a unique project to sell at an upcoming craft fair? 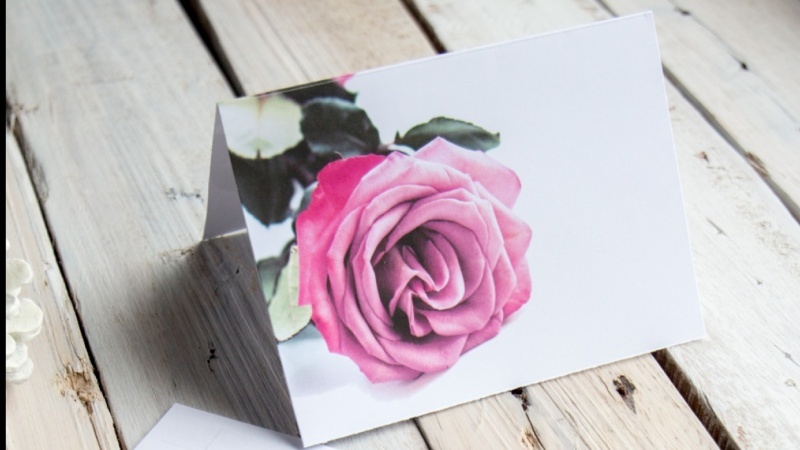 Handmade greeting cards are a thoughtful and practical gift idea. From birthdays, showers to everyday thank-you's it's so helpful to have on hand a set of cards for any special occasion. In this class we will show you how to make a beautifully packaged gift set of floral greeting cards with matching watercolor envelopes. These nature-inspired greeting card gift-sets are the perfect handmade gift idea for your secret Santa, as a stocking stuffer or gift topper. how to package it all together in a professional looking gift folder. And we add a new note card template each month! We invite you to join our Sustain My Craft Habit community for more nature-inspired DIY, crafts and home decor ideas. Join us and get a jump start on your handmade gift-giving with our step-by-step floral greeting card and handmade watercolor envelope gift set making tutorial. We are so happy you've joined the class! Jane and Sonja are craft and DIY addicts who share their love of simple, low-cost and nature-inspired craft and home decor ideas on their blog Sustain My Craft Habit. With Sonja's background in the fashion industry and Jane's in academic sciences, these sisters bring you the latest trends and beautiful DIY ideas with thoroughly and clearly presented instructions and tutorials. Follow us on Instagram @sustainmycrafthabit and Pinterest for beautiful DIY and craft inspiration daily!